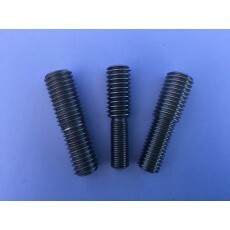 Male to Male Antenna Stud/Thread adapter to Codan 9350/8558 Antenna / Barrett 2019 / US & Euro markets. Hand made - High Quality Stainless Steel construction. Hard to get hold of - Not normally available as a spare part!